Emphasize the effects of electric shock and precautionary measures. Review of field around a conductor and coil, magnetic flux and flux density, magnetomotive force and magnetic field intensity, reluctance and permeability, definition of magnetic circuit and basic analogy between electric and magnetic circuits. (These topics are not to be considered for setting the examination questions). DC Machines: Working principle of DC machine as a generator and a motor. Types and constructional features. Types of armature windings, Emf equation of generator, relation between induced emf and terminal voltage with a mention of brush contact drop and drop due to armature reaction. Illustrative examples, neglecting armature reaction. Measuring Instruments: Construction and Principle of operation of dynamometer type wattmeterand single phase induction type energy meter. and its significance. Applications of squirrel - cage and slip - ring motors. 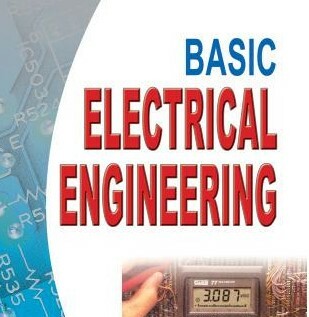 • To predict the behaviour of electrical and magnetic circuits. • Select the type of generator / motor required for a particular application. • Realize the requirement of transformers in transmission and distribution of electric power and other applications. • Practice Electrical Safety Rules & standards. • To function on multi-disciplinary teams. • The students will have to answer 5 full questions, selecting one full question from each module.